April Fools: it falls every year on the same day - we know it’s coming, yet year on year we find ourselves fall victim to the same old tricks. Whether you love it or hate it, April Fools Day is a great chance for brands to showcase their playful side and engage with their customers. 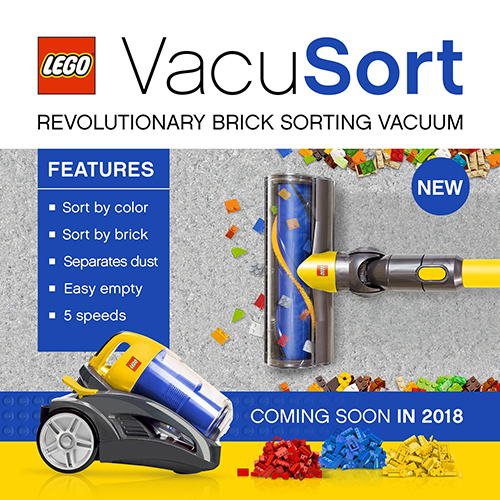 While we’re currently looking forward to what this year will bring in terms of April Fools hoaxes, here’s a small selection of some of the best ones from 2018! 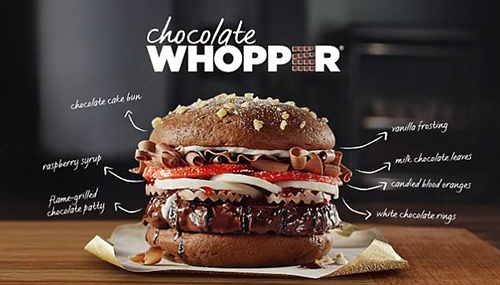 Never one to miss out on the chance to join in on a joke, the geniuses behind Burger King’s marketing team were back at it again last April Fools with this fake ‘Chocolate Whopper’. The fast food chain claimed the latest addition to their menu included this flame-grilled chocolate patty complete with a chocolate bun, raspberry syrup, white chocolate rings, candied blood oranges, milk chocolate leaves, and vanilla frosting. We can’t be the only ones that kind of wish this wasn’t an April Fools joke, can we? Now, we’re sure some of our most favourite odd food combinations (fries and ice cream, marmite and pasta, pineapple on pizza – but let’s not open up that can of worms), faced some opposition when they were first paired together. 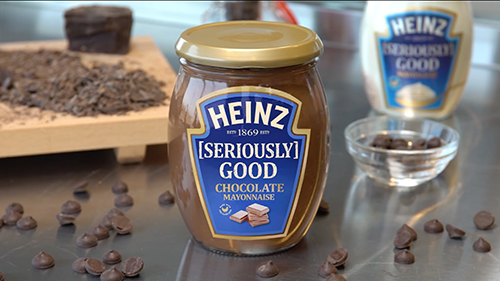 But this 2018 April Fools hoax from Heinz, which paired their staple mayonnaise with an Easter themed spin, is not one that we think we’ll be getting on board with anytime soon! Last year online dating website eHarmony jumped on the April Fools bandwagon by announcing the launch of their new sister site, Furever Love – helping pets to find love across the nation. This spoof dating site was accompanied by a fake article on their website announcing 94% of American dogs report they’re happiest in a monogamous relationship. While there’s a market for almost everything, this, of course, was a hoax. 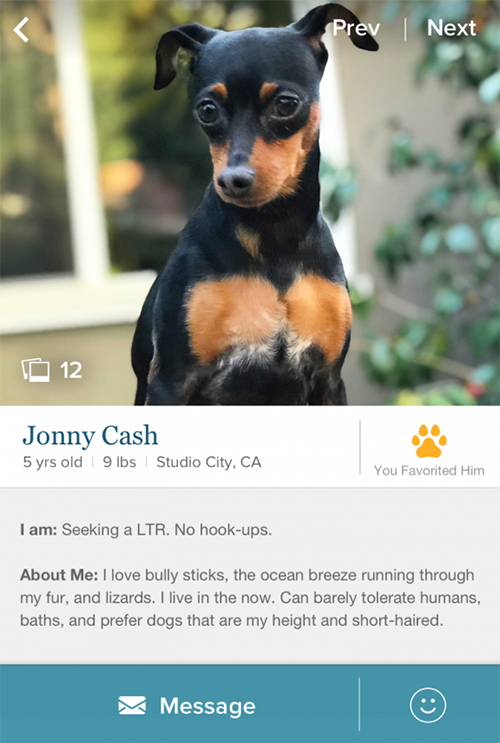 Either way, we would definitely be swiping right for little Jonny Cash. 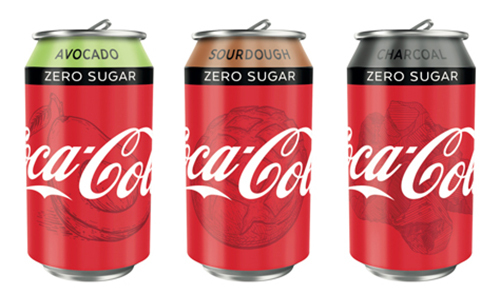 Taking a playful stab at millennial culture, Coca Cola decided to ‘launch’ these brand new flavours just in time for April 1st – including everyone’s favourite ultra-hipster blend of Avocado, Sourdough and Charcoal infused cola! We think the best kind of April Fools is the one that could quite possibly not be faked, and this definitely sits under that category. It’s good to be able to laugh at yourself, right? ‍To follow all our news and updates you can follow us on Facebook, LinkedIn, and Twitter, or if you’d like to say hello, you can get in touch with us at hello@creativepod.net.